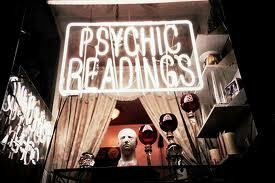 Q&A: Do psychics ever get readings? Q: I’m curious – Do psychics ever get readings from other psychics, or do you just do them for yourself? A: I can only speak for myself, but the answer is Yes and Yes. Both. But I do tend to read for myself more than getting readings these days. Think of it this way…even if you are a good home cook, do you still like to go out to eat every now and then? Like cooking, listening to your intuition and doing readings is a learned skill. Anyone can learn to listen to their intuition just like anyone can learn to cook. Some people like to do it, some don’t. Some people are especially talented at it, some aren’t. Like cooking, if you can do it decently well for yourself, that is what you do most of the time. It’s less expensive that way, if nothing else. But even a good cook likes to eat out sometimes. Sometimes you just need a hand. Even a a really good cook can get sick, run out of time, or just need a break. Same is true for psychics. Sometimes we need another set of eyes to help us see around our own bumps in the road. When those times happen, we appreciate the compassion and skill of other readers, just like a good cook has a keener-than-average appreciation for a talented chef. A good reading re-inspires and refreshes the energy and compassion we give to our own clients. So yes, both. Which begs the question, how do you know when to get a reading from someone else? That question is answered the same for a practicing ‘psychic’ as it is for anyone. Listen to your heart – or your heartache. If your spirit calls our for guidance or validation, it is more than OK to seek it out. Listen to your own intuition. Whether or not to get a reading or not is one decision in life where it is ok to be totally fueled by emotion. If you just plain can’t see what your next best step is, a reading can help give you ideas. If two options seem equal, then a reading can help tip the scales one way or another. Sometimes emotion is too strong to reason your way through it (or self-read your way through it) and an outside look can help restore calm, ease the stress. That’s what Tarot and psychic readings are all about, no matter whether the person getting the reading is a ‘pro’ or not. The FREE Q&A even ends June 30, so click HERE to send your question now!